How much simpler would IT be if software development were just a matter of programming? In reality, the great effort involved costs organizations time and reduces business agility. SAP Fiori and the SAP HANA Cloud Platform are here to change that. In the digital age, simplicity is in high demand. Whether a company is developing a business app for smartphones or a sophisticated cloud solution, it has to be simple: simple to use with a simple structure, reduced to the essentials. The SAP Fiori user experience is based on this principle. It not only helps the end user, but also the programmer. For most enterprises, software development is anything but lean and agile. You’re probably well aware of the challenges. There are numerous development tools that are dependent on one another—and each has different configurations and release versions. This means that updates have to be installed in one place and the changes accepted elsewhere. Only then can the coding begin. SAP is looking to reduce the developer’s workload. The SAP HANA Cloud Platform unites all development stages in a single environment. The process can begin at any time in the cloud and continue on any end device without requiring installation or configurations. But this is not all the smart design approach offers. SAP provides several pre-configured services that can be incorporated directly into your own application. 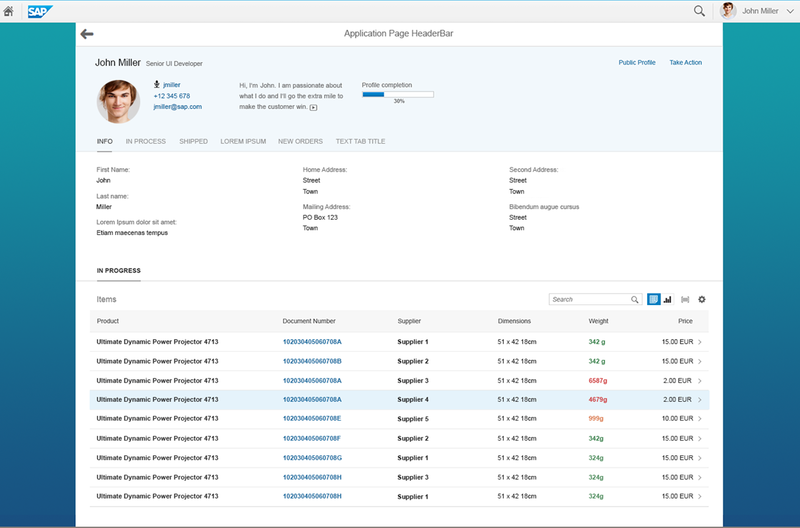 For example, SAP Web IDE allows you to quickly create SAP Fiori interfaces through a simple drag and drop function. It also means mobile services and back-end solutions can be integrated within minutes. Smart design helps you create applications from scratch without any knowledge of programming. Developers graphically model apps with the help of annotations that define how the OData service displays its contents. By doing this, they can visualize pre-filtered database entries in a dashboard or add input masks to the item maintenance. Instead of writing programming code, the developer simply selects the desired contents and the rest is generated automatically. There are templates for interfaces that are required more often—an overview page or filterable lists, for example. The agile development approach means prototypes can be created quickly and go straight to the end user for testing. This way, you receive actionable feedback far earlier in the process, allowing you to continually improve the application through scrum methodology. With smart design you can develop more than just new applications. The approach also makes it easier to modify existing SAP systems. 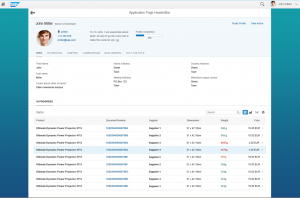 For instance, you can implement the SAP Fiori user experience into older solutions that were previously available only in the original SAP design. Although this development method runs entirely in the cloud, that does not mean you can only use it to create cloud applications. You can also roll out each project locally. Smart design is therefore applicable on-premises, too.